You can see how to put this craft together in about three minutes in the video below. Yes it is that easy y’all! So super simple! I personally love the battery operated candles in these but you can use any that you have on hand. I put them in a fun scary display. 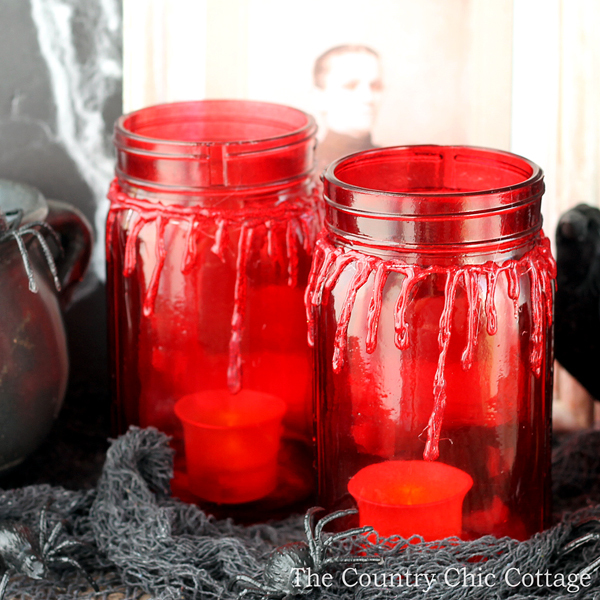 I love a little fright with my Halloween decorations! 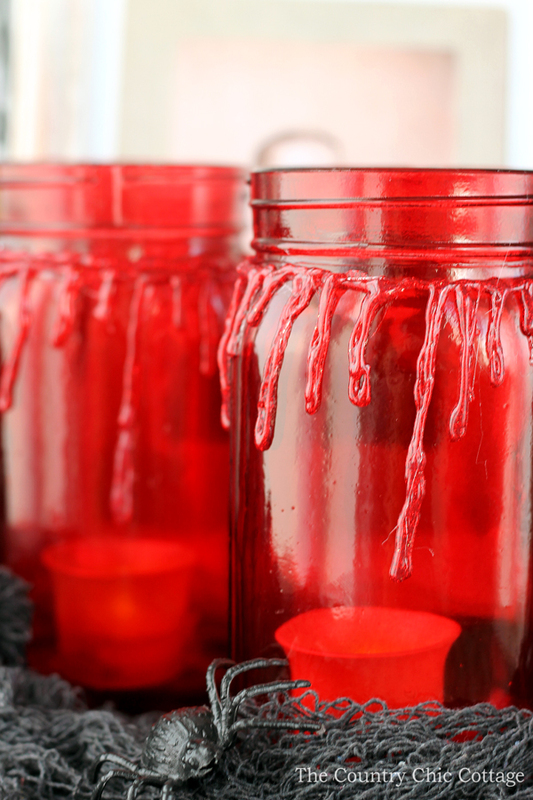 If you do too, these bloody mason jars are the perfect craft for you. Any craft that can be made in just two minutes is a winner in my book as well! 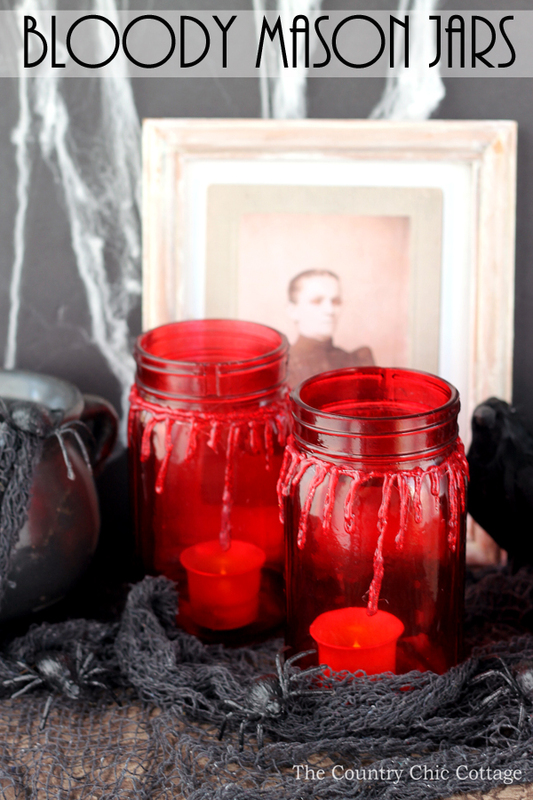 If you love Halloween and mason jars, we have even more ideas for you this week. Just click on the links below to be taken to the partner blogs for this series. You will love what they have in store for you!